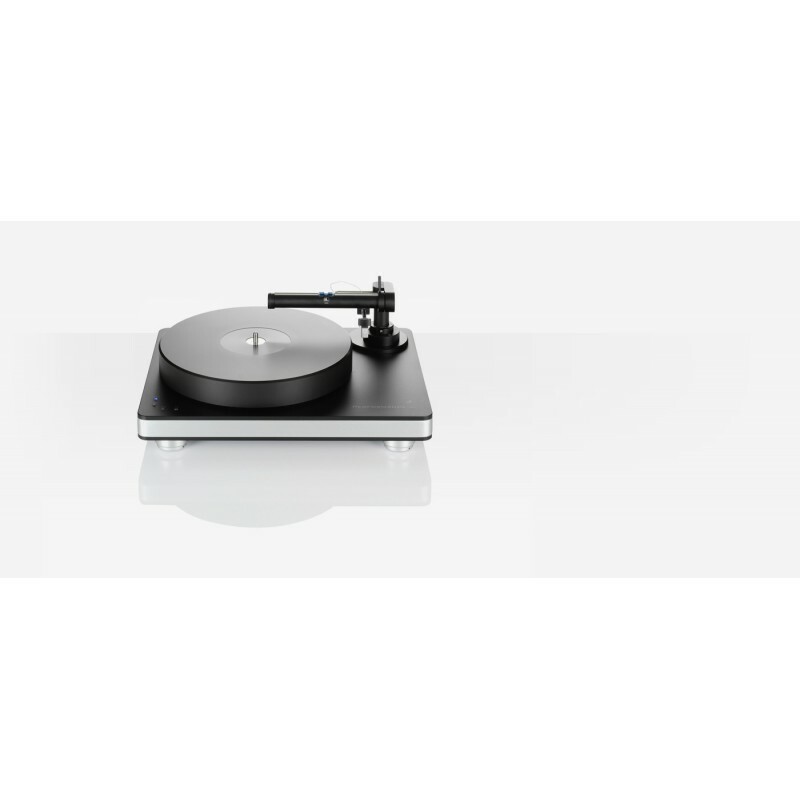 Due to the success of the Clearaudio Performance DC turntable, the manufacturer has released an alternative version of this turntable, equipped with the new Clearaudio TT5 tangential tonearm. 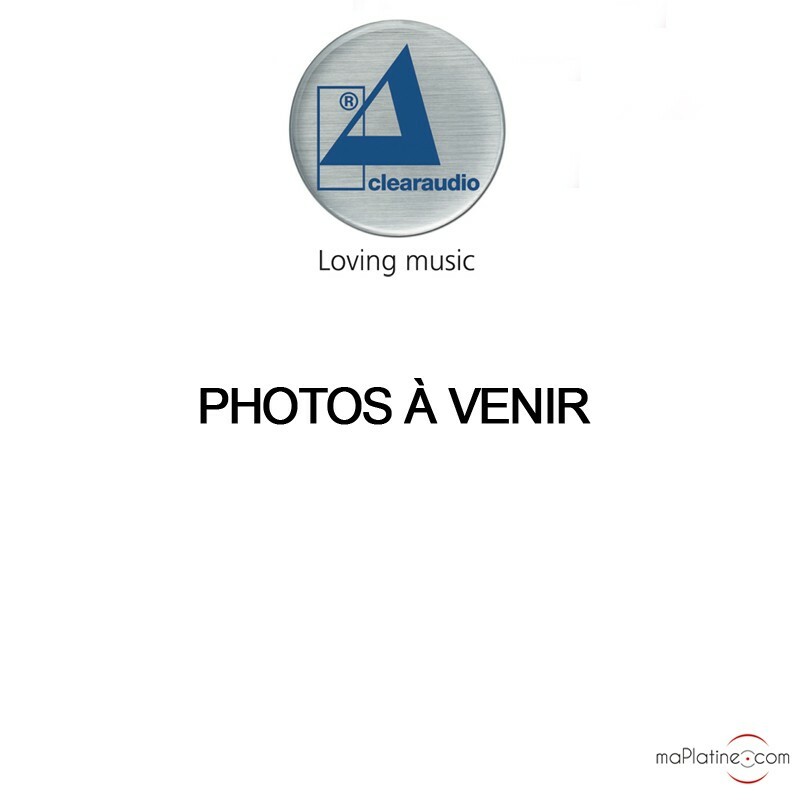 The Clearaudio Performance DC TT5 has the same technology and innovations developed by the manufacturer as, in particular, the Clearaudio Ovation. The chassis is manufactured in a high density material, with cavities (at strategic places) full of damping beads. This chassis is “sandwiched” between two aluminium plates. This gives the turntable a remarkable mass and density thus eliminating all vibrations and resonances. The 40 mm platter is manufactured in a resin block (POM). It has the particularity of having a high density and rigidity as well as a very low resonance frequency. The Performance DC TT5 has the new ceramic and bronze magnetic bearing (CMB). This innovation considerably reduces friction, noise, and wear. The low noise motor is powered by a DC power supply. It is regulated and stabilized. 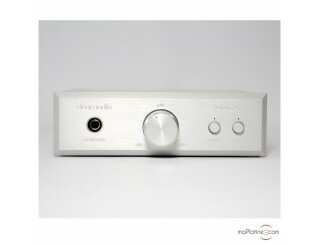 The circuit of this Clearaudio Performance DC TT5 integrates three oscillators. These oscillators enable a speed change via small blue LED buttons (33RPM/45RPM/78RPM). With a classic tonearm, the tonearm is dragged across the surface of the vinyl record by the stylus following the groove. With a tangential tonearm, the motion is similar but the tonearm moves tangentially, the stylus moves the tonearm along a linear bearing. It consists of a carriage running on precision rollers along a polished glass rail. Thus, the cartridge remains parallel to the groove of the record, following the same path as the cutting head did when making the record. This eliminates any lateral tracking error. The record groove, stylus, cantilever, and tonearm are perfectly aligned. Therefore, no lateral forces (centripetal force) are generated. It is thus not necessary to apply an anti-skating compensation. The tracking force and azimuth are easily and finely adjustable so that the stylus is always in the ideal position. This is not Clearaudio’s first time with tangential tonearms, but the TT5 is the most affordable solution offered by the German manufacturer. 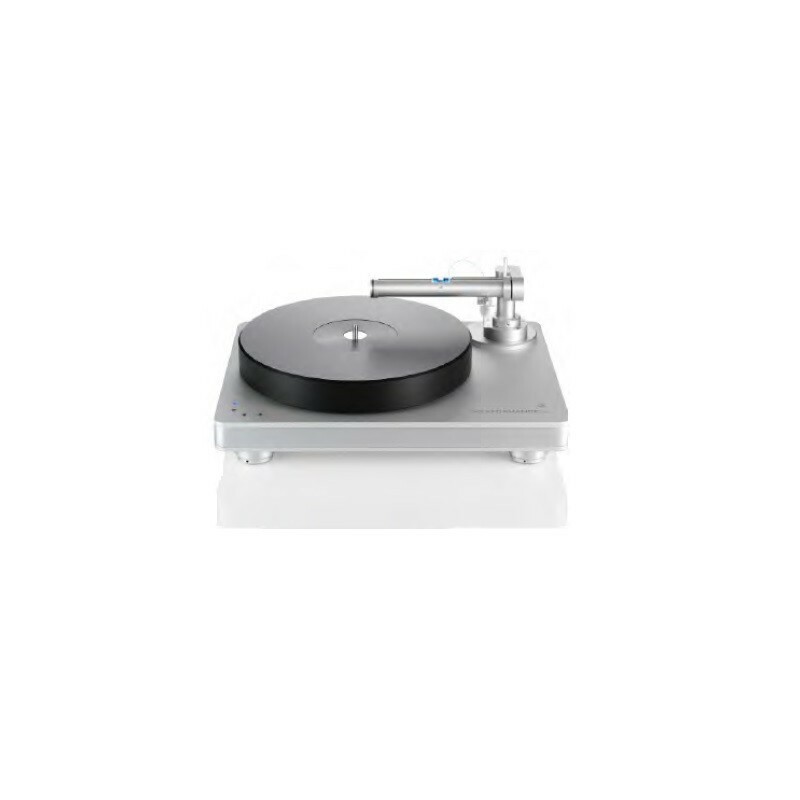 The surprising and excellent quality/price ratio of the TT5 is due to the absence of one or two of the characteristics of its “big brothers”, the TT2 and TT3 tonearms. For instance, the Clearaudio TT5 tonearm has a new design that is fully rigid. It is combined with the new Clearaudio Essense MC cartridge. The sound restitution is very transparent and precise. It runs incredibly quietly, which gives a remarkable transparency to the sound restitution. There is absolutely no surface noise. The dynamics are formidable and spread evenly across the entire spectrum. The bass is the most demonstrative. It is powerful and very striking. The treble flies very high with a surgical transparency and precision. This Clearaudio turntable, with the TT5 tonearm, favours a very pronounced tempo and dynamic. This Performance DC seems to accept all styles of music, even if it excels on music that requires precision. If you are an enthusiast of round and “soft” vintage sound, this Clearaudio vinyl record player is clearly not made for you. This Clearaudio Performance DC TT5 turntable is magnificently built and the manufacturing tolerance is very low, like always with Clearaudio! An undeniable success and at this price, this turntable does not have any competitors in the “tangential tonearm” category. With the Performance DC TT5 turntable, Clearaudio offers an “affordable” solution for enthusiasts of tangential tonearms.